At last I can proudly add a Consort page to the site. Bought from the usual auction site it was a bargain probably as it was not listed as a Coronet machine but simply a table saw with a burnisher (sanding disc and table) and therefore attracted little attention. 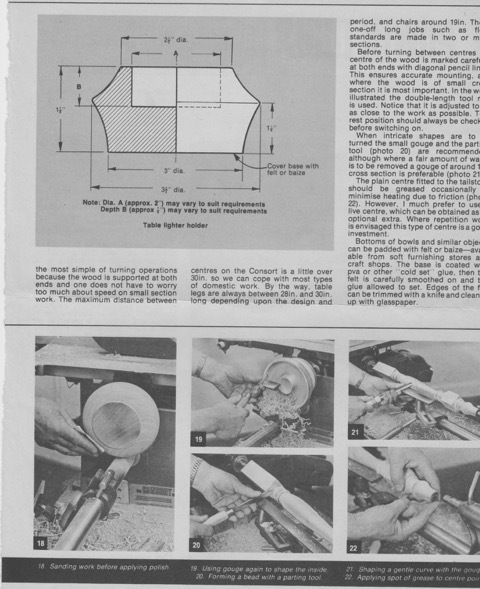 Admittedly it is only that, but with some investigating into attachments it will form the basis of an excellent woodworking centre. (Rubs hands together.) The main attractions for me are the larger saw table with the rack and pinion riser. 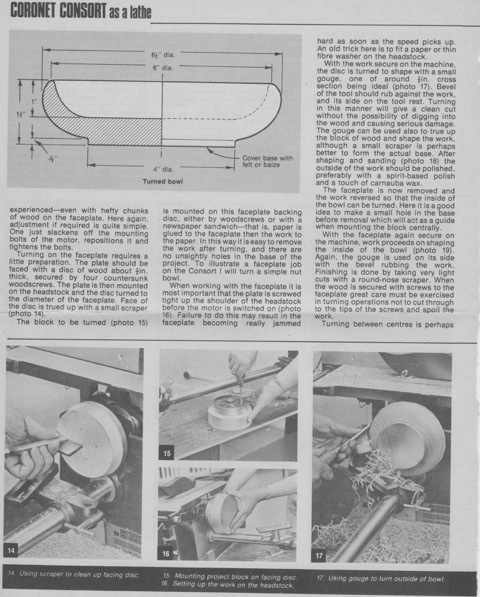 After a swift check over that all nuts and bolts were tight and that the table was secure the machine was put straight to work after a drop of oil in through the filler cap. It's the best way to get to know your machine in my humble opinion. The work wasn't the most glamorous but it was going to test the motor. There was a large quantity of timber that needed crosscutting into 14" lengths for further reduction into firewood kindling, see? Not glamorous at all. The timber ranged from 2x1 batten to 6x1 planking and on to 4x4 posts. It handled them all without faltering or fouling the blade and above all the motor ran quietly without any rumbling from the bearings. There had not been any play on the spindle when tested so I was not really expecting any. The saw table did make a difference when compared to that of the Minor and Minorette and handled a brief bit of ripping admirably. Certainly no regrets with this little beauty that's for sure. It has now been sold on after performing admirably to raise funds for the workshop projects. Another Consort. This time a post 1976 machine sent in by Davey from Padstow in Cornwall. Davey used to use German machinery in his printing days so was glad to purchase some of the best of British engineering for his first foray into woodworking since secondary school. It looks like a decent, clean machine as you would expect. You simply have to admire this compact little machine. It seems like every square inch of it is ready for work. The winding ratchet mechanism for raising the saw table is neat and efficient. The largest saw table in this range makes it extremely versatile for small and large work. And look at those extras lurking underneath to the right of the table.. 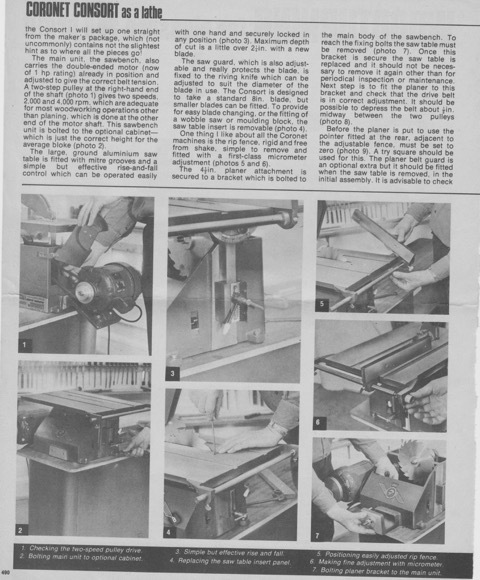 The tilting sanding table is also very versatile and works well with the saw table going from one to the other without the need for changing belts or adding attachments when the sanding disc is fitted instead of the face plate shown. The machine is bolted down securely for stability and to reduce vibration. Decent stand too. Surely the contents of the ubiquitous box of bits? It's like Christmas but without the in-laws. Thanks for the photos Davey, a great addition to the site. 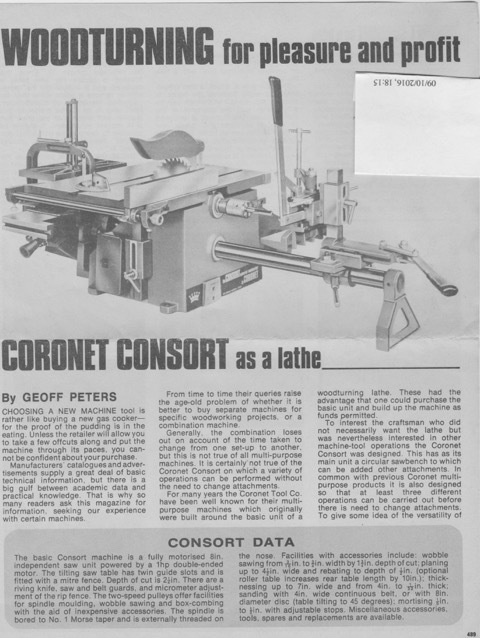 Kindly sent in by Les Logan is this feature on the Consort as a lathe. 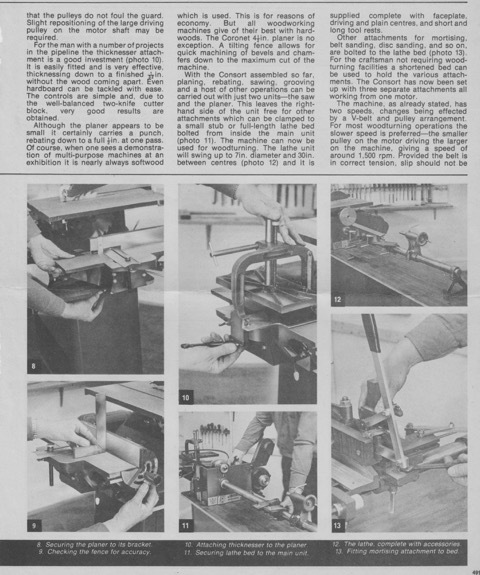 Possibly taken from an old issue of Practical Woodworking. Many thanks for taking the time to scan and send in this little feature Les.